How to avoid marketing mistakes? Modern market confirms that marketing is one of the important parts of the development of every business. If some company wants to gain a large number of clients, increase incomes or to promote their brand, it is necessary to have quality marketing strategies. However, it isn’t just enough to have any marketing activities; they should be connected with the goals of the company and with its business. 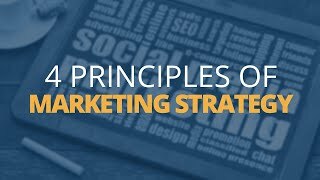 Besides that, if you want your company to have a successful marketing campaign, you need to avoid mistakes or at least to try to make fewer or them. It often happens that companies fall apart or drastically lower down their success because they made only a few mistakes. In the practice, we have the mistakes that repeat all the time. This is a very common mistake and usually, happens to those companies who don’t invest too much time in their marketing campaign. Because they don’t have too much time, they only use to talk about themselves. For example, your company is making a big celebration, which should be mentioned on social networks, due to its importance you dedicated a lot of your time to it. It is important that you don’t share too many posts about this event because they will be interesting only to your employees, but you will lose the number of followers. What is interesting for you, might not be interesting to your buyers, and you need a detailed analysis of the market to run successful online marketing campaign. This mistake is common for companies that are just starting with the marketing activities. It happens that some company sets the apart certain amount of money to attract the new buyers, but in that process, it neglects the existing ones. Some companies think that their primary goal is to attract a large number of clients. However, their activities should also be dedicated to the existing clients. This usually happens because the companies think that their business if finished if someone has liked of shared their post. If the buyer feels that he is being neglected, he will turn to competition. Social networks can be pretty cheap, and they are considered necessary nowadays. But, if you make only few post that wouldn’t be enough. If you promote your brand over social networks, and you don’t do it properly, it will make you more harm than good! Without a quality marketing strategy, you can’t expect to have success. The content you are planning to publish should keep the attention of your readers and followers. You shouldn’t just offer your products, but also inform your followers about the sales and discounts. Include blog posts on your social network page, blogs are often interesting, and the reader will enjoy them. Your social network page should have various content in that way you will interest the follower more in your products and in your brand and that will make a bigger profit to the company. If you want to have a high-quality advertisement, you must fulfill the two most important conditions: to attract the attention of potential buyers and to make your content memorable to them. We have TV advertising, which is the most popular type of advertising, and people spend large amounts of money on it. On the other hand, we have spectators who mute or change the channel when the set of commercials appear, stating their disagreement. This is one of the reasons why people choose the Internet; here they can avoid boring commercials. However, commercial have found its way even here; we can now find banners, pictures, video contents, video games popping out of our screen, they always have the contra effect, and they can be irritating. It turned out that users ignore such type of advertising because it bothers them, so they don’t give them too much of their time. It has been proven that advertising companies don’t make large amounts of money with this type of promotion. So, we have a question now, how to create an add on the internet and to make a memorable message so that user remembers it, even though he ignores all types of internet advertising. The simple answer would be: make him! Different types of websites, blogs, forums and similar contents require from a user to have an account, which further requires human verification, by which you are confirming that you are a human being and not a robot. To fill in a human verification, you need to type numbers and letters in a captcha box, and these symbols don’t have some reasonable meaning. It takes approximately 14 seconds to fill in human verification and this activity happen 280 million of times during the day, which is 124 years of human attention every day. That much of human attention goes in vain every day, while some people who are in online advertising business will give anything to have. That is why some researchers have come up with the idea to put a commercial into human verification box. In that way, they will have multiple uses, people will pay attention to their content, human verification will be shorter from 14 seconds to 7 seconds. Some research shows that this type of advertising gives 12 times better results than classical banners and the messages are easily memorable, because users write them in verification box. This represents one of the types of native advertising, which is the future of internet marketing and it has the number of variations, but basically, it is the serious alternative to banners which are slowly starting to disappear from the internet because of so-called banner blindness. Types of commercial presented on TV or radio that are based on interrupting the user in some activity are slowly dying. On the other hand, native advertising, which doesn’t interrupt the user while performing some activity has shiny future in online marketing and advertising.